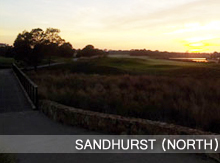 I’m currently planning a trip down to the Bellarine Peninsula to check out a few of the outstanding courses on offer. I know the Mornington Peninsula usually gets a huge rap with all of their amazing courses, however, the other side of the bay is well worth checking out. Watch this space! Well, I know it’s been quite a while since my last post. But, better late than never. Right? When is the last time you tried a new golf ball? When did you last step into the vast world of compression, cover softness, spin numbers, branding …? I was contacted some months ago by a new company called GolfJet. A fledgling Australian business entering the very competitive market of golf balls. They were interested in hearing my opinion on their product. After receiving one of their JetPacks (which included nine of their Jet 4 balls, a glove, tees and a ball marker) I headed out with a few mates of ranging ability over the next few weeks to conduct some completely non-scientific, albeit fun, tests. The first thing I noticed was the extreme softness of the ball. It produced a very high flight off my club with a ridiculous amount of spin. I tend to hit the ball very hard and generate lots of spin anyway so the ball was spinning off the front of greens and falling short due to the ballooned flight. Most of the other players in the low to mid handicap range saw similar results too, noting high flight and heaps of spin. The short game feel and performance, however, was incredible. Heaps of check and spin control. The ball performed very well with the putter too. The higher handicap players, who played longer irons into the green, tended to love the ball as it gave them good distance and control. After playing with the Jet 4 for a few weeks and with many different players, the verdict was quite clear; the Jet 4 was not for me (or my fellow power players). I suspected this from the start as the Titleist Pro V1 is too soft also. I often try to play a slightly harder ball (Bridgestone B330) to avoid generating too much spin and bring the ball flight down a bit. After this period I had the privilege of meeting-up with Brad, a founding member (of two) of GolfJet for a few drinks and a chat. Brad is a super keen and obviously intelligent man with a passion for golf. He’s an engineer by trade and, along with a long-standing friend, developed the idea of starting a company to deliver high-quality balls to players using a unique marketing approach. Brad told me they have spent years in research and development to finally get to this point. Sourcing, testing and comparing products from the world’s leaders to develop a ball with comparable characteristics and performance. Brad’s own ethics clearly come through the GolfJet philosophy; a very customer focused, quality experience and product. He ensures he is approachable and listens carefully to feedback. I guess that’s the great thing about a personal business, you can make a choice to focus on what really matters. I thank Brad for his time in answering all of my questions about his ball and other products. A week following our meet-up, a package of Jet 3 balls turned-up in the mail. When talking with Brad he informed me that their Jet 3 golf ball is a lower flighted and less spinning model which would probably suit my game better. True to Brad’s information, the Jet 3 suited my game very well. A much lower, penetrating flight with controllable spin characteristics. This ball is a real treat to play with. Not only is it good with the driver and long irons, it had the same (slightly less) spinning nature around the greens as the Jet 4. The Jet 3 would have to be up there with the best balls I’ve used. To ensure consistency in my completely non-scientific tests, after some time I managed to wrangle the same group of players who tried the Jet 4 and, surprise, surprise, they liked the Jet 3. Saying things like, “it’s the same as the ball I play now” and “I really like this one, it’s quite different to the Jet 4”. I have to say this came as a bit of a surprise to me because I know some of these guys are die-hard brand players. Same club, clothing and ball brand. They generally don’t sway too far from their comfort zone. They know the feel they love, the look and flight of the ball and spin they generate. The trust they’ve built over many, many years. I’ll be the first to admit I can be the same too. But the Jet 3 won me over. I’m happy playing it and trust it will do what I want. I’m not saying everyone will love these balls. They are a premium ball and do spin like you would expect a premium ball to. What I am saying is that you couldn’t go too far wrong giving them a go and supporting a wonderful growing Australian company. Visit GolfJet to learn more about their company and products. 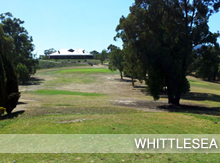 The Growling Frog Golf Course is located in Yan Yean, about 50 mins north of Melbourne, in an undulating grassland valley with large mature gums setting the scene. 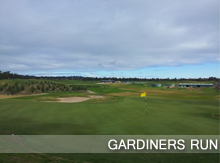 The course is generous with large fairways which are guarded by bunkers. Tee shots are often about control and hitting the ‘right’ parts of the course to give yourself a good look at the green. If you find yourself on the wrong side of the fairway – particularly around the front nine – you can be blocked when approaching the greens. The greens are well guarded by soft, deep sand traps which can be difficult to get out of. The greens themselves are a stand-out feature of the course. They are large with obvious breaks and levels. 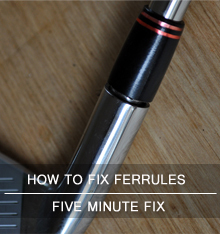 They roll true and give you a great chance to make some putts. I have played the course before and found the rough challenging to get out of. The course seems to have been made more generous with a short rough, cut back a fair way from the beautiful tight lies on the fairways. This course feels like you can miss and not be severely penalised with a lost ball. This said, if you do miss by a long way you can either take your chances with the snakes or just hit another! There are plenty of well placed water hazards and the wild life is truly spectacular; water birds, kangaroos and growling frogs (as the name suggests) are around for the nature lovers. This course screams true Australia. Dry rough grasslands with huge twisted gum trees and wild life everywhere. 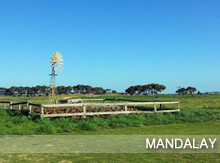 A true treat for the golf enthusiasts and anyone wanting a beautiful walk amongst the native flora and fauna of Australian grasslands. 2nd: A 161 meter par three. A longer shot needs to be accurate. A huge bunker waits short left and a water hazard long right. The miss here is short right and you are left with a good look at the green to hopefully get up and down. Shoot for the center of the green and it should be a straight forward two putt for par. 8th: A 506 meter par 5. You need to get the drive away here. Bunkers wait for you on either side of the fairway. If you want a chance of hitting the green for two you need to be down the left hand side of the fairway as a huge gum tree blocks the line in on the right. Lay up or attack the green will be your next decision. If you are laying up continue down the left. Bunkers guard the green short left and mid right. Fairly straight forward putting awaits you on the green. A great course. Fun, challenging and full of natural beauty. Well worth the trip. I was lucky enough to tee up a game with my brother and friend Lee on the weekend at what has to be one of Victoria’s best (and maybe toughest) golf courses. Cape Schanck is a par 70, 18 hole championship course which is located on the bottom edge of the Mornington peninsula. As far as golf courses go, this has to be one of the most scenic and beautiful courses I have played. It is a fairly tight, tee tree lined course that will punish you if you are off line. Having said that it is quite short measuring only 5640 meters. This course demands that you are in the fairway and in reasonable position to make a good score. The greens are huge and roll very, very well. The fairways are well presented with a fantastic surface and the bunkering is well placed and quite beautiful. 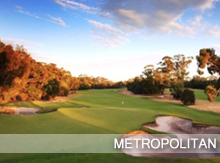 The course meanders through the hills and sits high above the surrounding land, offering spectacular views of the ocean beach and Port Phillip Bay. The holes on this course really do advantage the strategic golfer (which i’m not well known for!). Most holes do present a fairly large landing area if you are willing to take a longer iron into the greens. If you choose to bang the driver you will be rewarded for accuracy but will be severely penalised if you’re offline. I didn’t find the greens all that hard to hit, this was most likely due to the enormous size of them. Once on the green they rolled true and with good pace. 3rd: A 188 meter par 3. A demanding tee shot made from above. The wind can play a huge part in whether you make the green or not. You shoot it over a small gully filled with grasses into a large undulating green. This green is guarded by four green side bunkers, two short and long left and two running almost the entire length on the right. The smart play here is to play for the heart of the green, avoid the trouble and try to make a putt. 12th: A 349 meter par 4. This is an intimidating drive. You have an up hill funnel to drive the ball into which slopes from both sides back to the middle. Miss the fairway here and you will be reloading! I took a 3 iron and placed the ball into the middle leaving a mid to short iron into a green that sits well below you. This is a challenging next shot as the green is guarded by a huge bunker short left and a big depression down the right side of the green. If you miss right, getting up and down will be very tough. Once on the green you will need to negotiate the large contours to hole out. A very challenging and beautiful hole. 14th: A 158 meter par 3. I’m sure anyone who has played the course would agree this hole is one of the best on the course. No doubt the most photographed and most talked about. It plays all downhill, overlooking the ocean beach and the National Golf Course. You need to shoot the ball at the green, allowing for the wind. Distance control is a must if you want to make par. You can miss short, but long will cost you. The green has a huge tier. Finding yourself on the top and having to putt down would be a nightmare as slowing the ball would be nearly impossible. A great hole maybe one of the most scenic in Victoria! There are so many great holes on this course. Each and every one is different and needs to be considered carefully. I must say, I did play conservatively and layed up on lots of holes, which helped me score well. 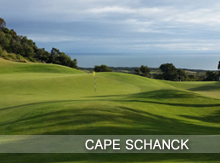 Cape Schanck Golf Course will test your skills both mentally and physically. You really must go and play it. Another great day out with friends and another fantastic example of how good golf can be in Australia. I write to let you all know that as humble as Luke is, he will not go out of his way to let you know of his recent play in the Heidelberg Golf Club, Club Championships. He excelled over the many days, to come out on top with the best gross score. 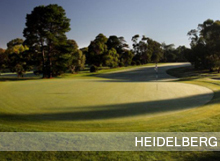 This is an excellent feat around Heidelberg, given its many good players and since the course is set up as difficult as it can be. 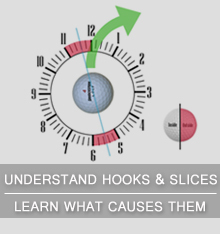 For all of us, we know that there are may reasons why your game of golf often falls in a heap during one round, but, to concentrate and put a number of rounds together for a Championship win, is outstanding. 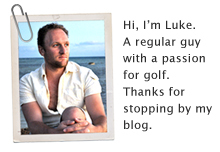 Congratulations Luke and know that we all look forward to your next GBA entry. In all honesty I did play well and had quite a bit of luck go my way over the tournament. I putted exceptionally well, got up and down from 7/8 bunkers and channeled Seve Ballesteros from the rough, trees, forest, jungle on more than a few occasions! 1. If you can’t get out on the course (because of young children – or any other reasons for that matter) use the space you have. Make practice swings with the broom, chip in the backyard or putt in your hallway. I’ve been using these to keep motivated and groove the swing a bit. 2. If you are feeling lost, get a lesson. I must admit, I’ve been struggling for months now. Almost to a point of having a lay-off. I went to get a lesson with Tim Wood and …..well, I won my club championships! I want to hold single figures on my handicap and shoot in the 70’s more regularly. Stay turned as I take you on my journey towards this goal. And thanks James for the comment. It’s nice to know people are enjoying the blog and following along. This is part of what golf is all about, getting to meet new people and make real connections. 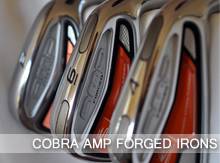 The first thing you notice about these irons is the deep bronze finish, a rich metallic black-ish colour. I personally really like it and it also works to reduce glare on sunny days. Overall, they are modern looking and not something really seen before from Mizuno, a brand which typically produces quite traditional looking clubs. 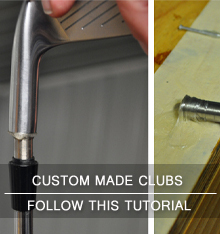 As you place the club on the ground and address the ball the club head definitely looks bigger than a standard head. Although not overly huge, it does give you a feeling of confidence. How could you miss hit these? The top line is thick without feeling chunky and the sole lines up nicely without huge amounts of off-set. The clubs have an undercut that lowers the center of gravity which will help you get the ball to launch. On the back of the club there is an insert which looks great. Mizuno call it H.I.T (Harmonic Impact Technology). It really does look good. This might not be to the taste of all golfers, in particular the traditionalists out there, but I like it a lot. 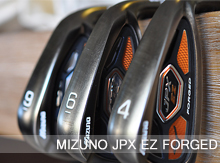 These clubs are stamped ‘grain flow forged’ and if you have ever hit Mizuno forged clubs before you will know what this means. Crisp, soft, awesome feel. They also have a Mizuno stamp on the back toe section with the club number on the sole. These are painted white and look great against the black finish. I think the thing that stands out for me is that they look big at address. This does give you a feeling of confidence but might not be for everyone. All in all a modern looking club that has technology written all over it. You know they are going to help your game. Two words: long and forgiving. And long! I’d say I hit them 15 meters further than my irons and longer than other iron I hit that day. This could be because the lofts are stronger than average irons with the 4 iron coming in at 22 degrees and the PW at 45 degrees. The other thing I noticed about these irons is that I got basically no distance loss with shots hit out of the toe and heal. I have always liked the soft, responsive feel of Mizuno irons and these don’t let the forged feel down. When you hit one out of the middle it is as good feeling as a pure blade. Hit one out of the toe or heal and I knew it. However, I was not penalised (great!). I really liked the feel through the swing. That slightly bigger head didn’t feel so big during the swing and at impact it felt safe to be aggressive and easy to square up. Impact = awesomeness! These clubs launch out hot and fast. I hit them reasonably high and produced quite a lot of spin. I was hitting the 7 iron 165 meters and stopping it dead. They really have that performance that inspires pin killing confidence. There is no doubt that what you give up in traditional looks you gain in technological advantage. These clubs come in 2 degree strong on most irons. The 8 iron is 36 degrees, 9 iron is 40 degrees and the PW is 45 degrees. This might explain the extra length I was seeing. For all specs see the link below. Yes! A huge yes for me. I’d play with these clubs for sure. 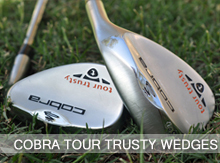 They are probably not going to suit your scratch golfer or player who prefers the traditional looking club. I’d say that these clubs would suit players from 6 – 25+ handicap looking for a confidence inspiring, forgiving club to grow with your game. Fantastic clubs again Mizuno. Well done! For more information on these clubs visit Mizuno. I bought a new putter a few weeks ago and really love it. It was second-hand, and although in pretty great overall condition, the grip was a little worn and old. I wanted to update it and make it a bit less, well, bright. The original grip was embellished with the Australian flag and whilst I’m as patriotic as the average golfer (I’ll cheer for the Aussies watching the golf on TV and will even jump up and down about the Olympics) for me the grip was just a bit too much. I wanted something a little blacker! Along with neutralising the colour, I was also looking for something that would be long-lasting, soft-feeling and amazing-looking. And I actually managed to tick all the boxes here! The Grip Master Grips are fantastic. You can really feel the quality. They are soft yet firm, if you know what I mean, and incredibly good-looking with their stitched backs and embossed markings. I must say, I’m in love…with the feel, look, smell. Everything about these grips just oozes class. I went for The Grip Master Mid Size Putter. They have an extensive range and the choice was hard. I have been using a mid-size for some time and love the slightly larger size. I’m sure no matter what you are looking for you’ll find it. 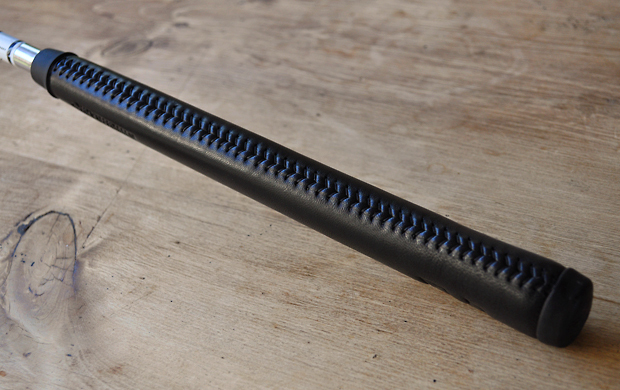 Take a look at The Grip Master. Another really cool thing about The Grip Master is that they’re Australian. I always love to buy Australian when I can to support local businesses. Their website also contains some great info about company history, grip fitting and other general information. 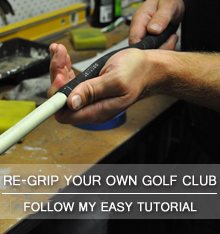 Click here to read more from The Grip Master. I’m not too sure where the company is located in Australia, but I do know that I bought direct from their website and the order was delivered within three days. Great shipping, great price and great quality. Thanks to The Grip Master I’m now putting well and looking great!